Looking for a unique way to make your company stand out at the next trade show, event, or convention? If so, you should consider ModuTile’s Trade Show Floor Tiles. Our graphic event floor products allow you to display your brand or company logo right on the floor for everyone to see. At ModuTile, we realize that trade shows can be very effective, but also costly. We know that you want to stand out from the competition and make your company look more professional and capable. 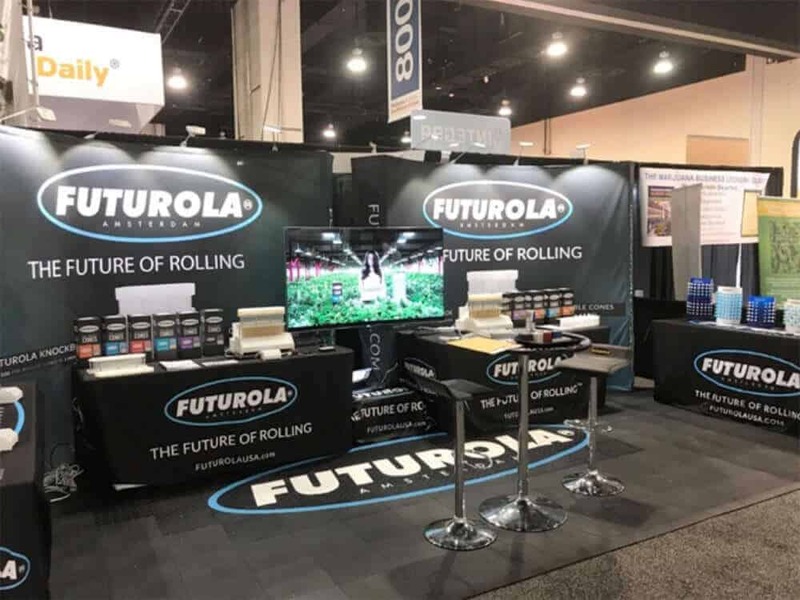 ModuTile event floor tiles are the perfect solution to complete an attractive and unique trade show display for your business. With our modular interlocking floor tile systems, you can create attractive color combinations and floor layout designs. You can also order your own Logo or graphic artwork on the floor. The same trade show tiles can be used as a showroom display floor. 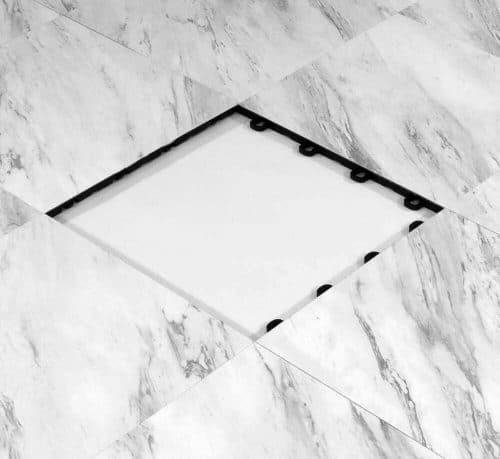 Our interlocking floors are affordable, branded do-it-yourself flooring kits! Please note that while most colors and designs are readily available, custom orders may take additional time. If you need further assistance with your trade show floor graphics or design, please feel free to contact us. Have Questions? Feel free to contact us regarding your next trade show floor or event flooring. Visit our contact page and let us know about your project. 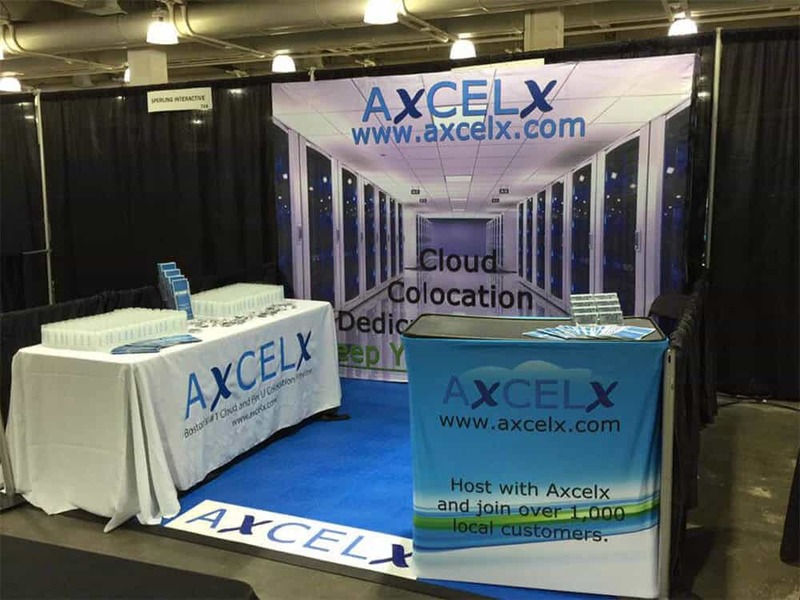 Visit our event and trade show floor gallery page to see some of our customers booths. With ModuTile’s interlocking trade show floor tiles, it could not be easier to make your event booth look upscale. These trade show tiles interlocking using a loop-to-peg locking system. A typical 10 by 10 trade show booth can be installed in just 15 – 20 minutes. All you need to do is align and interlock the tiles together using your hand or small mallet. Until recently, only large companies with very large budgets could afford to place graphics on the floor. In fact, they spend tens of thousands of dollars to professional trade show specialists for designing their booths. Many of them add their company logos on the floor to increase brand recognition to the thousands of visitors that walk the halls of the convention or expo. We designed a trade show floor that allows you to look like a large corporation without breaking your budget. In fact, over time, you could save thousands of dollars. ModuTile’s portable flooring tiles are made out of durable high-impact polypropylene interlocking floor tiles. This means that you can quickly and easily break the floor down and put the tiles into small boxes for transferring back and forth from your office to any and all trade shows. They are durable enough to be used year after year. Visit our event product section to choose from various colors and designs. I just realized I never sent you any photos, sorry about that, and I hope you were all Ok from the damage of the hurricane! 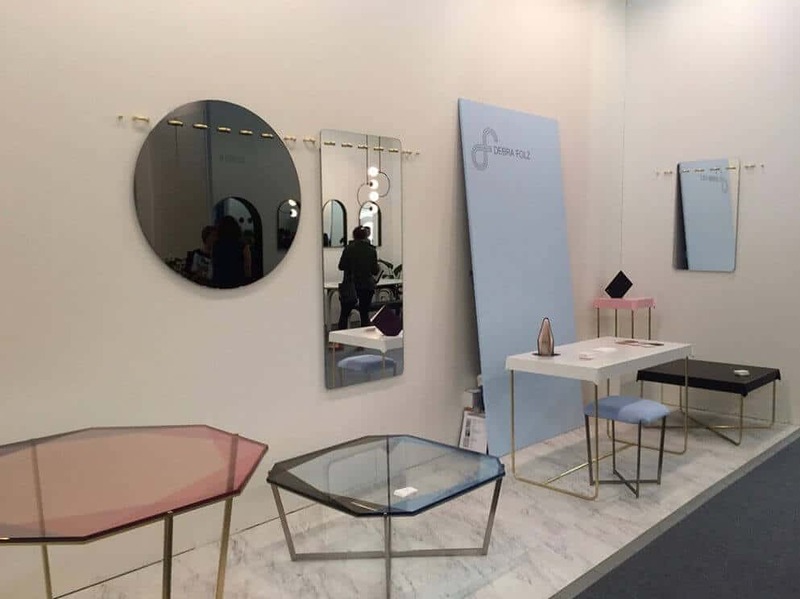 Note from ModuTile: Customer used Flexible PVC Interlocking Floor Tiles on their booth. 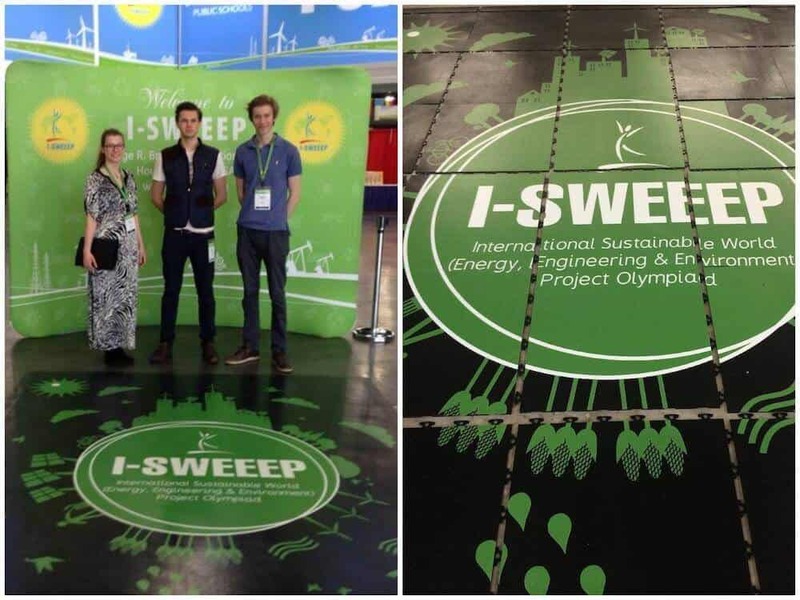 We used their vector logo to create the floor graphics as seen on the image. Thank you for the image. We decided to Exhibit for the first time in over 15 years and we were unsure on what to do and what to buy. When we found out the hall was concrete, we decided that was unacceptable for us. Thankfully we found ModuTile. Other exhibitors used interlocking foam tiles that were significantly damaged thankfully we decided against it. We had several compliments on our flooring and recommended ModuTile to some other companies at the show. The setup of the floor and take down was fast with 2 guys and we have never worked with interlocking tiles before. Overall the flooring was a win for us and we have ModuTile to thank the floor sparked sales conversations and will use again but this time my home. Your trade show floor tile questions, answered. Are the graphic floors made by applying stickers on the interlocking floor tiles? No, the graphics are not made by applying stickers. 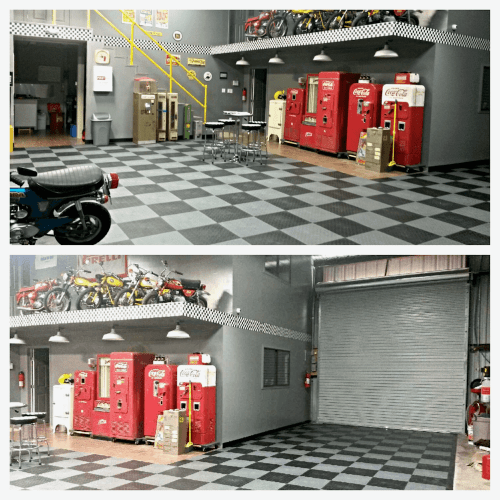 We use a three-part process to apply graphics to our polymer interlocking floor tiles. First, we prepare the tile for direct printing. Then, we print the graphic directly onto the tile. Lastly, we use a special clear coat protection to enhance durability. This process insures durability for walking traffic in conventions, store showroom displays and more. Please note that vehicle tires could damage the floor graphics. Hence, if the graphics are made for vehicle display, it is best select placement of the graphics carefully so that the tires do not contact the floor graphics. What file type do you need to make my floor graphics?